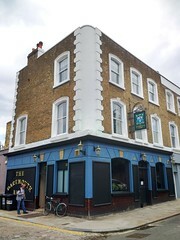 Pub in Dartmouth Park, not far from Tufnell Park Station. It closed in January 2015, but reopened in April 2017. Last edited 2017-11-02 17:55:34 (version 19; diff). List all versions. Page last edited 2017-11-02 17:55:34 (version 19).